Randy Karl Hahn, age 67, of Swanton, Ohio, died Thursday morning, November 29, 2018, from injuries sustained in a motor vehicle accident. He was born July 26, 1951 in Wauseon, Ohio to Phillip and Wilma (Brown) Hahn. Randy was a 1969 graduate of Delta High School, and on May 24, 1974, married his loving wife, Dawn Langenderfer. 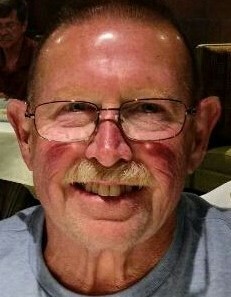 Randy was a mechanic, working at Bob Schmidt in Maumee for several years. He loved deer hunting and was proud to have come home with a 19 point buck recently. He also loved watching Nascar and was a Cleveland Browns fan. Randy was a member of St. Richard Catholic Parish. He loved spending time with his family and will be truly missed by his wife of 44 years, Dawn; their son, Zachary (Kristy) Hahn; daughter, Megan (Fred) Ruiz; grandchildren, Hailie and Keri Hahn; and his brother, Ronald (Lana) Hahn. Visitation will be held Monday, December 3rd from 3 to 8 p.m. at the Weigel Funeral Home in Swanton. Visitation will continue Tuesday, December 4th from 9:30 a.m. to 10:30 a.m. at St. Richard Catholic Church, where a Mass of Resurrection will be held at 10:30 a.m. with Father Adam Hertzfeld presiding. Private interment will immediately follow at Archbold Cemetery. Memorial contributions may be made to St. Richard Catholic Church ~ St. Vincent DePaul Society, 333 Brookside Dr., Swanton, OH 43558 or to any area organization that feeds the hungry. The family would appreciate if guests would dress casual for his visitation and funeral Mass. This is the way Randy would want it.